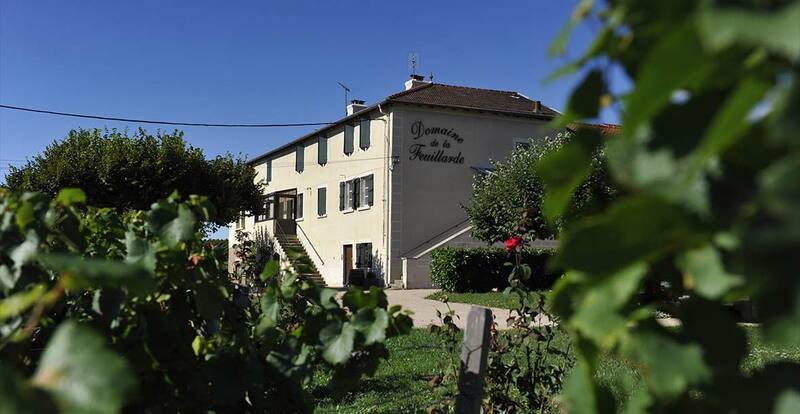 Located next to the village of Prissé, on the Southern borders of Burgundy, the Domaine de la Feuillarde produces wines of character. 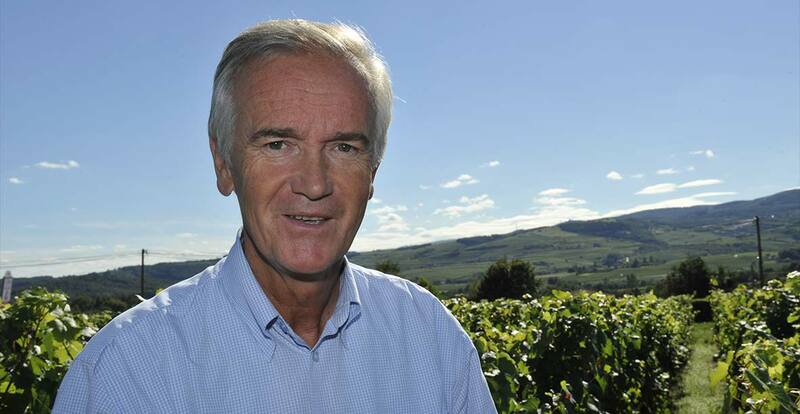 Jean -Marie THOMAS became the owner of the estate in 1934.The domain enjoys an ideal location since it is situated on the gentle hillsides of the Mâconnais vineyard, at a height of 250 meters, with a South to South-East exposure. The vineyard looks like a golden belt surrounding the estate. It spreads over 20 hectares. 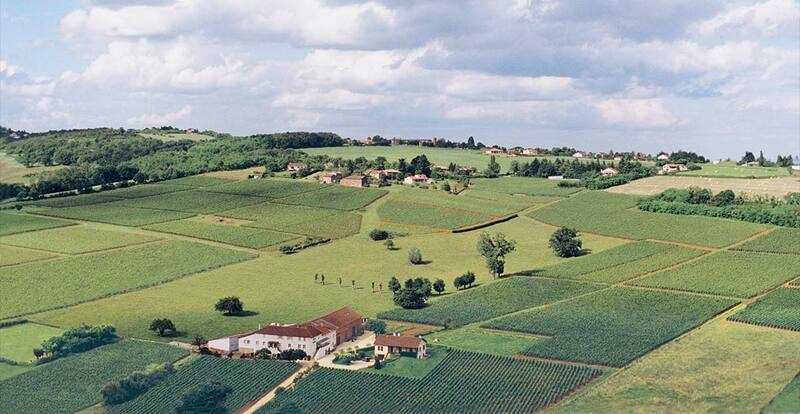 The estate also has 2 hectares of the prestigious Pouilly-Fuissé in the neighbouring village of Vergisson. 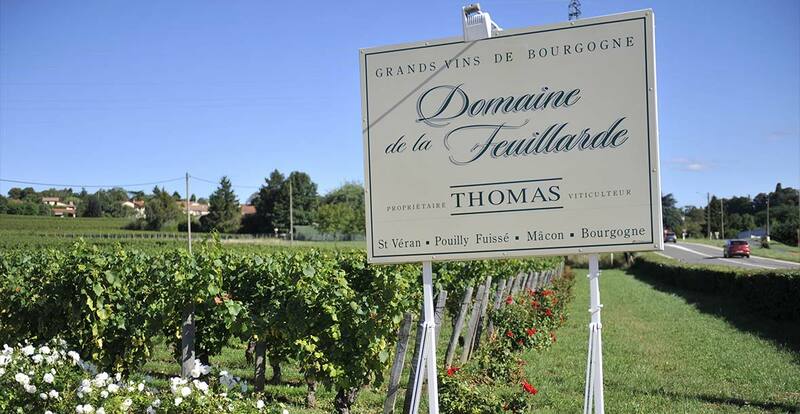 Here, Chardonnay is grown almost everywhere, since there are also 2 hectares of Gamay and 1 hectare of Pinot. 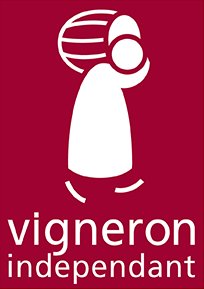 The main production is the Saint-Véran : a delicate, elegant wine. 3 different Saint-Véran are available : the well-balanced, aromatic Saint-Véran; the Saint-Véran Vieilles Vignes : generous and full-bodied, coming from 65 year-old vines; and the Saint-Véran vintage “Prestige” : partly aged in oak casks. 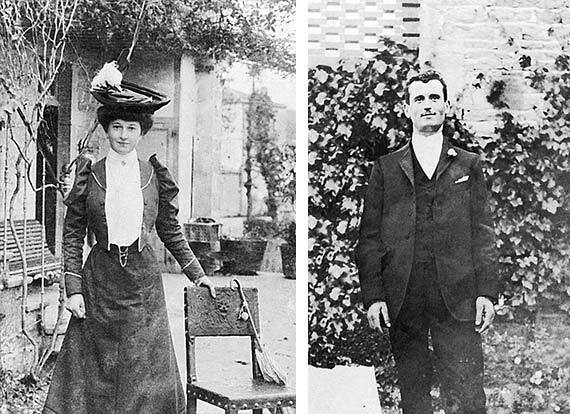 The Domaine de la Feuillarde carries on with the tradition of hand-picking and thus brings together the lovers of wine and those of nature for a special moment. The estate stands out thanks to skillful blendings and experienced winemaking.